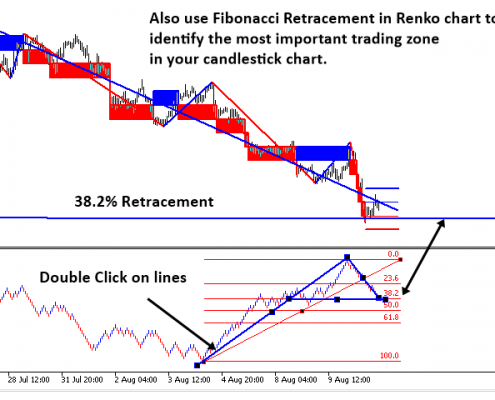 The main characteristics of Renko Charting concern price movement. 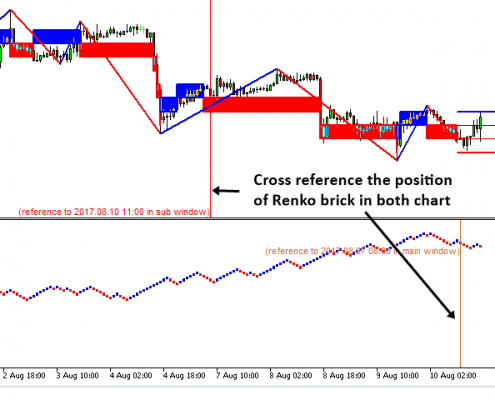 To give you some idea on its working principle, Renko chart is constructed by placing a brick over or below when the price make the movement beyond a predefined range, called brick height. 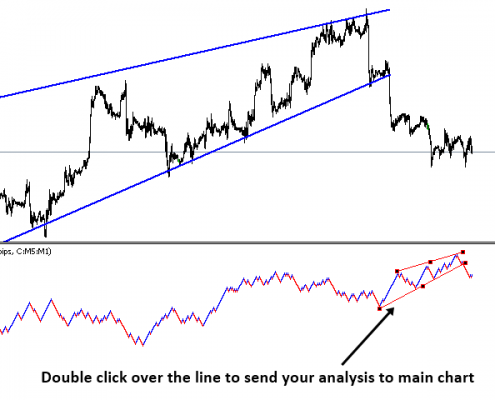 Therefore, naturally one can see clear price movement with less noise than other charting type. Renko charting can provide much clearer trend direction and it helps to identify important support and resistance level more clearly. As Renko charting does not use time, original Renko charting have some difficulties to be used together with other technical indicators. Especially backtesting of your strategy using typical Renko charting is very difficult and time consuming. However, we brought Smart Renko Chart here. 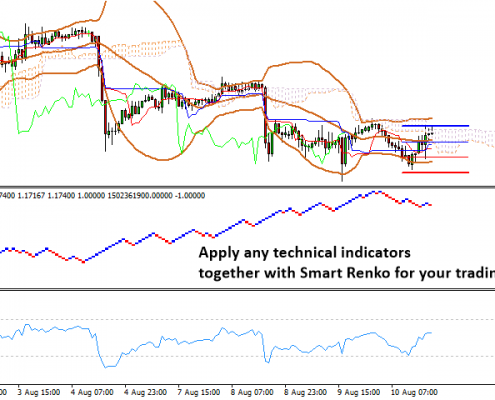 Smart Renko overcomes the limitation of traditional Renko charting and it brings you many other benefits for your efficient trading with renko chart. You can use any timeframe to calculate your Renko bricks including M1 and M5. 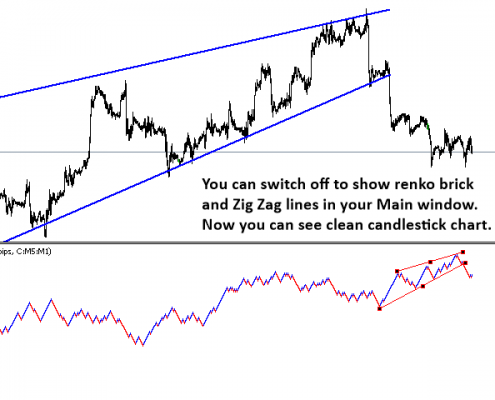 Smart Renko will show you generally agreeable trend movement towards all timeframe. You can display spread view of Renko bricks on your main chart allowing you to backtest with other technical indicators. 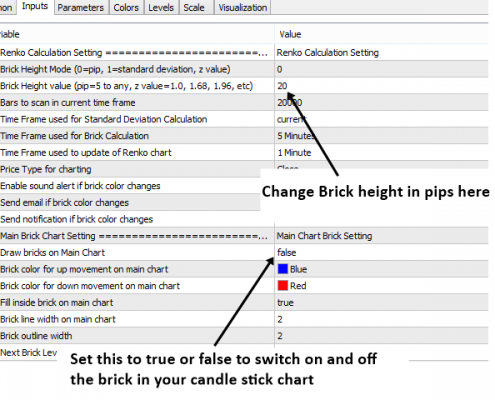 Smart Renko includes automatic brick height calculation using Standard Deviation and Z value. 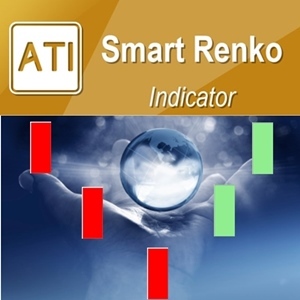 Therefore even a starter can use this Smart Renko Indicator. 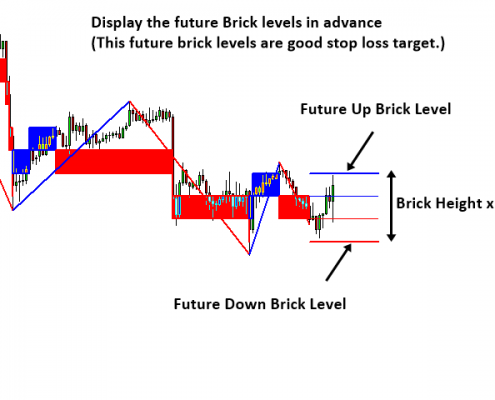 Smart Renko will indicate the future brick level for buy and sell bricks in advance. Smart Renko can draw round numbers (psychological numbers) in your chart. 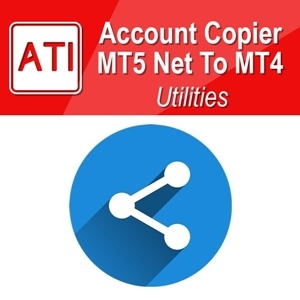 Default setting can be used for any currency pairs and any time frame. 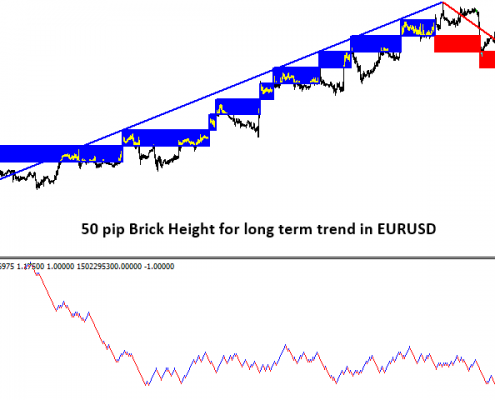 When you use brick height, please use factor of 100 or 1000 pips for best performance. 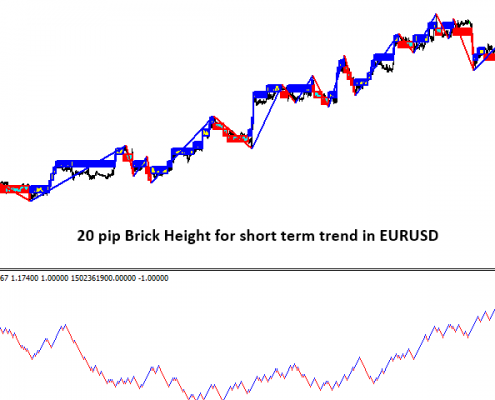 For example, you can use 10, 20, 25, 50 and 100 or 100, 200, 250, 500 or 1000 pips brick height. 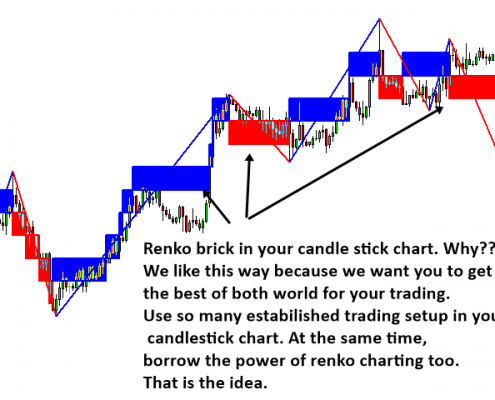 Smart Renko can be used for many different purposes. 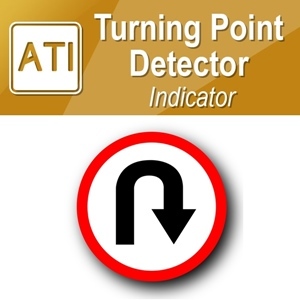 At the simplest level, this indicator can add the second opinion on the current and future trend direction on your existing system. 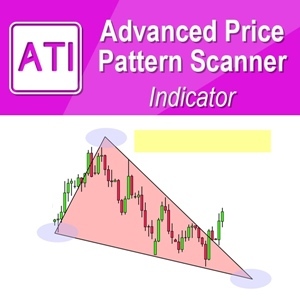 This indicator can help you identify important support and resistance lines quite clearly comparing to traditional charting techniques like candlestick or range bars, etc. 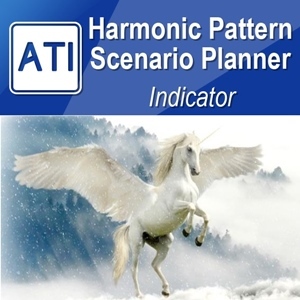 With traditional Renko chart, traders tend to create all sorts of indicators in the separate indicator charts. No need to do such hard work anymore. 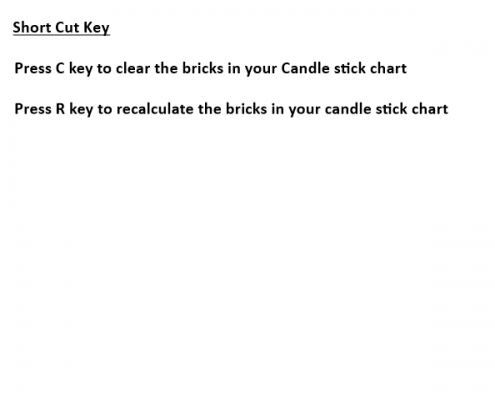 Just use spread view of bricks on your main window and use all the MetaTrader standard indicators to create or to refine your trading strategy. 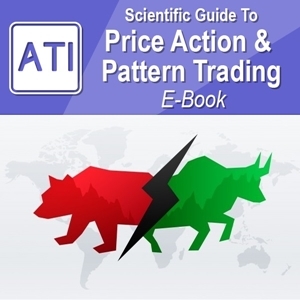 Renko Chart’s main working principle is based on price action. 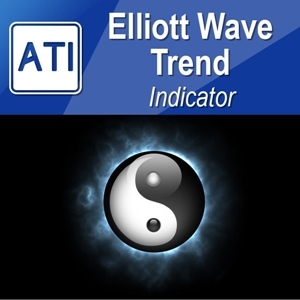 Therefore, this indicator benefits many price action trading strategies. 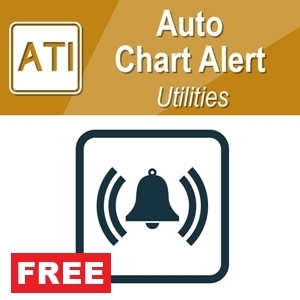 Smart Renko Chart works well with our trading software including Harmonic Pattern Plus, Price Breakout Pattern Scanner and Sideways Market Analyser. 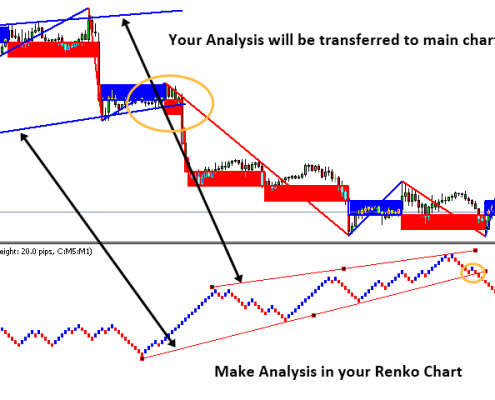 Smart Renko tool can be used as a supplementary tool for many other trading strategy.